Pregnancy is a time of great preparation. There are diapers to buy, a nursery to set up, and a car seat to find. There are so many details to prepare for the arrival of a new baby that preparing one’s body is sometimes missed. Did you know that there are things you can do to help your body get ready for birth? Here are a couple of quick tips. Hips– Maximizing the mobility in your hips (without over-stretching!) helps open up the area that baby will need to pass through eventually. A simple stretch is standing with your back against a wall, sliding down into a low squat with your feet and knees wide apart. You can even use your hands or elbows to gently stretch your knees further to the side. Pelvic floor– Your pelvic floor serves two important functions with pregnancy. One, it is helping to support baby. Two, it will need to stretch and become open to allow baby to exit through the pelvic outlet during labour. Both of these functions can be addressed during pregnancy. Pelvic floor contractions, sometimes referred to as Kegels, involve tightening up these muscles and feeling as if the area is being “pulled up” towards your navel. This does not need to be a 100% contraction. They also do not need to be repeated hundreds of times a day. 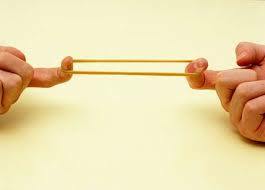 A good goal might be 3 sets of 10 reps with a slight hold, possibly spread out during the day. To teach lengthening to this area, deep breathing helps to promote relaxation. Try assuming the position above for your hips, and notice what happens to your pelvic floor if you take some deep breaths and allow relaxation. Pelvic girdle and low back pain– One recent study (Pierce 2012) stated that up to 71% of pregnant women complain to their health care professional of pelvic girdle or low back pain. It is so prevalent that some actually believe this is normal. 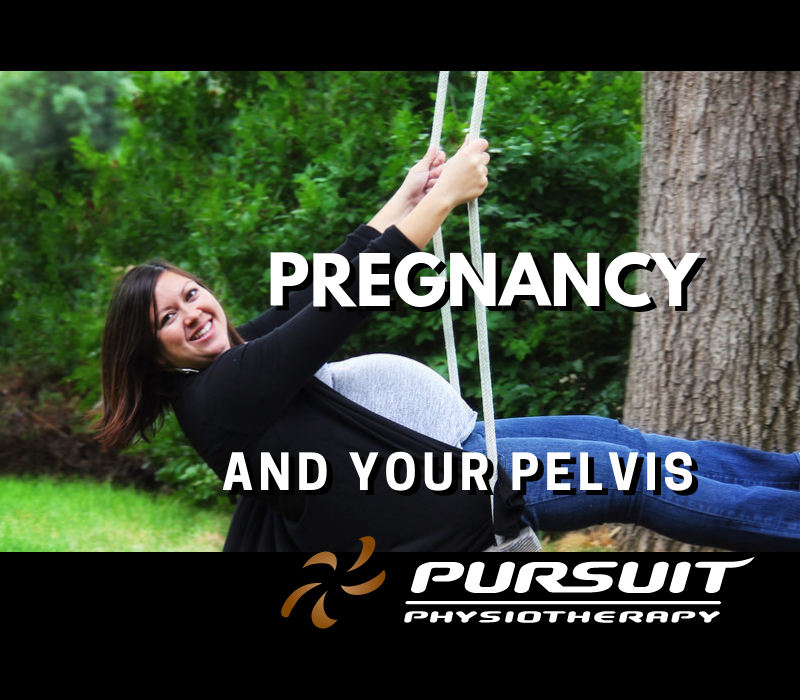 Pelvic girdle and low back pain are not just something to be put up with until baby comes. Yes, there is a shift of your center of gravity forward and yes, this changes how your muscles and joints are loaded. But it does not need to cause pain. Watching your overall posture, ensuring that you are using your legs to bend and lift instead of your trunk, keeping loads on your body as symmetrical as possible and activating your core when needed are all basic strategies you can try at home. If you find you are having issues with any of the above areas, or if you wish to have a more detailed assessment and program, please feel free to contact our clinic and book an appointment. Let us help you get ready for your baby!